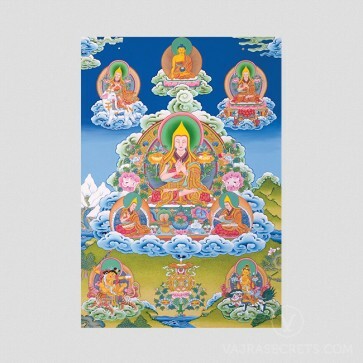 A canvas printed thangka of Lama Tsongkhapa, depicted with his two main disciples and the 5 forms that he manifested in after he entered parinirvana. 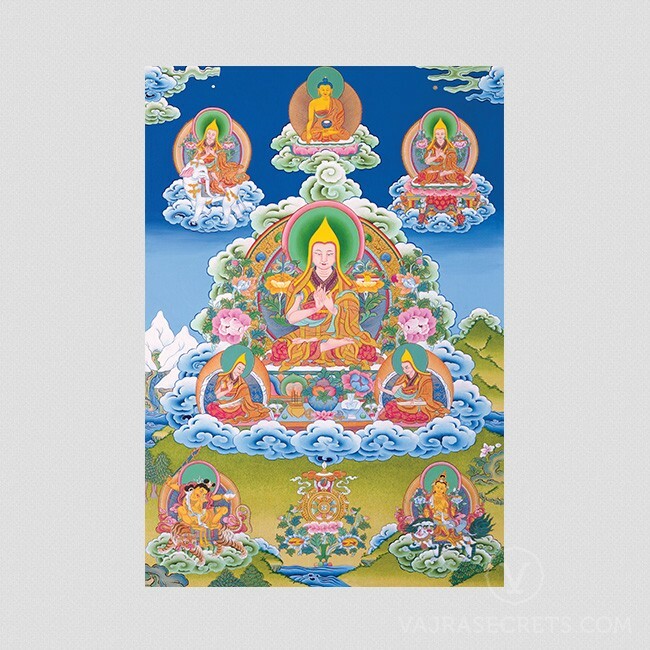 A canvas printed thangka depicting Lama Tsongkhapa, an emanation of the Buddhas of wisdom (Manjushri), compassion (Chenrezig) and power (Vajrapani). On his right is his heart disciple, Gyaltsab Rinpoche, and on his left is his other heart disciple, Khedrub Rinpoche. Surrounding them are images of what is known as the 5 visions of Lama Tsongkhapa. 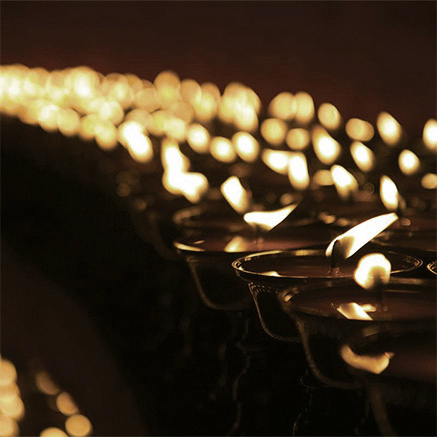 After he entered parinirvana, Lama Tsongkhapa appeared to Khedrub Rinpoche in these forms on five separate occasions. Buddha Shakyamuni is also depicted at the top of the thangka, in the center.